« Rethink Retirement Survey says…. Midlife Crisis OUT – Midlife Transition IN! Midlife crisis is so passe. Much like the old version of retirement is, well….old. Today, boomer mid-life is all about transition and new beginnings. Don’t take my word for it. Here’s what others ‘in the know’ are saying. According to an article in ScienceDaily, adults in their mid-life years really do face the ‘best time to flourish and grow’. Second acts are possible! Prof. Carlo Strenger of Tel Aviv University’s Dept. of Psychology co-authored an article with Israeli researcher, Arie Ruttenbergfor the Harvard Business Review and Psychoanalystic Psychology. “Somehow this line has been drawn around the mid and late ’40s as the time for a mid-life crisis in our society,” says Strenger. “But as people live longer and fuller lives, we have to cast aside that stereotype and start thinking in terms of mid-life transition’ rather than ‘midlife crisis’. “If you make fruitful use of what you’ve discovered about yourself in the first half of your life, the second half can be the most fulfilling,” he adds. Ohhhh….they sooooo speak my language. Hello, hello!!! (Okay – now visualize me now jumping up and down, flapping my hands)…. This is what I’ve been saying and what UNretiredLife can be all about! Transition….Fullness of life…New beginnings….leveraging what is already there….and more. This is what defines the ‘new retirement’ (UNretiredLife) for boomers with zip. Decline is out….flourishing is in! 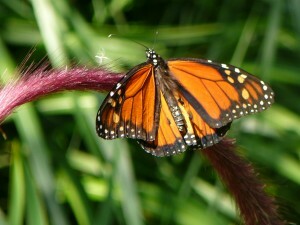 Butterfly by Eileen Chadnick --- freedom, transformation, beauty! 1) Invest sincere thought in the fact that you have more high quality adult years ahead of you then behind you. Big Cheese Coaching (UNretiredLife) coaching programs facilitate this reflection with guidance and a snapshot (via assessments and conversation) of one’s attitudes towards age and retirement and more. Success begins with the right frame of mind! We check in on that and support you in reframing where necessary! 2) Think about what you’ve learned about yourself so far and what your strongest abilities are….and things that most please you. Yes, yes…..audit for personal strengths and values and passions….we do not pass “go” without this important reflection and capturing what makes you tick. Strengths/success/personal awareness — do not leave home without this! 3) Don’t be afraid of daunting obstacles in making changes. Once you realize how much time you have left in this world, you will find it’s worth making the investment. A wonderful prompt to a “make it happen” attitude….life has a lot of ‘road’ left….how do you want to be in that part of your journey. It ain’t over yet. Keep on truck’n! To you and your UNretiredLife! Are you ready to create your own version yet? This entry was posted on January 26, 2010, 4:11 pm and is filed under Retirement 2.0, Uncategorized. You can follow any responses to this entry through RSS 2.0. You can leave a response, or trackback from your own site.